Released back in 1984, the Pentax 645 has been helping pros and amateurs capture stunning photographs for nearly 35 years. Pentax's medium format body received minor updates through the years, the first of which was the 645N and the introduction of auto focus. It then received another update, more of an evolution, with the 645NII. The NII was praised for the addition of mirror lock up. The form factor of these models were so well received that Pentax retained the design cues for its digital line of medium formats. While the Pentax 645's legacy continues, how does the original hold up? Much of what I love about this versatile system was already highlighted in my Pentax 645NII review. Rather than repeating my comments, I'll focus on how this manual version differs and where it comes up short. 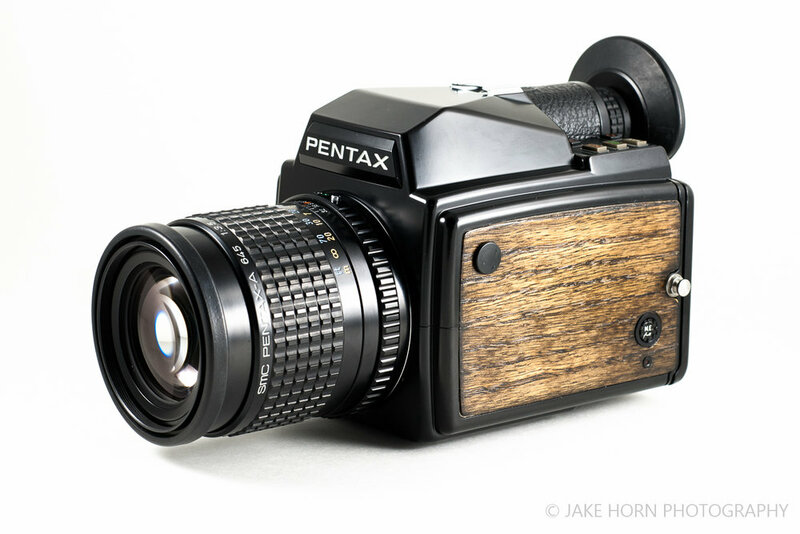 Please note, I customized my camera, so you may notice some differences in addition to the wood veneer. I removed the side tripod mount and eliminated the x-sync terminal...allowing for a minimal look. One advantage I do find with the Pentax 645 over the auto versions, is the shutter button feel. Both have the half-depress trigger movement to wake up the meter, though the manual body's shutter is actuated with a secondary button "click". This is in contrast to the smooth, continuous motion on the 645N. I like the mechanical feel in operation as it provides better tattle feedback just prior to shutter release. This first generation Pentax tried a bit too hard by adopting a modern (for the time) digital button control system. While not difficult to use, it is inferior to the standard dial and knob controls. There is a noticeable lack of visual management of your settings on this version. Dials offer a quick glance method that digital read outs can't replace. Surprisingly, the LCD screens still work great to this day. In addition to the odd button controls, the exposure compensation is only in full stop increments. This leaves less options for fine tuning exposure. To get to half and third stop adjustment, you have to fiddle with the lens aperture. I wouldn't worry too much about 1/3-stops while shooting negative film, but slide film will demand more consideration. While on the topic of controls, I must mention the ergonomics. The overall form factor of the body seems familiar, but the handle execution is primitive. The grip does not fit the hand's natural shape and is missing the thump notch seen on the 645N bodies. Also contributing to the poor handle feel is the textured grip. The pattern does provide more friction than if it were smooth, but it is not as effective as vinyl or leatherette covering. I am happy, however, that this will last forever, which can't be said for early vulcanized rubber of the era. Anyone that has handled a neglected Nikon F5 or F80 will know the sticky degradation I speak of. The Pentax 645 is my favorite 6x4.5 film system. It allows access to medium format film without losing the familiar SLR ease of use. It lacks mid-roll interchangeable backs like other 645 systems, but at 15 shots per roll, it's not a huge loss. These Pentax tanks have lasted decades without major mechanical problems, and I expect this to continue in the future. There is no other interchangeable lens system I would rather bring into the backcountry. With that said, for landscape photography, stick with the Pentax 645NII. The ability to use mirror lock-up can not be underestimated, especially when using lenses in the 300mm+ lengths. If you intend to take full advantage of medium format, you don't want to ruin it with a shaky exposure. If you don't have a proclivaty for low-light or long exposure shots, this manual version is great. Still the best bargain in medium format cameras today. 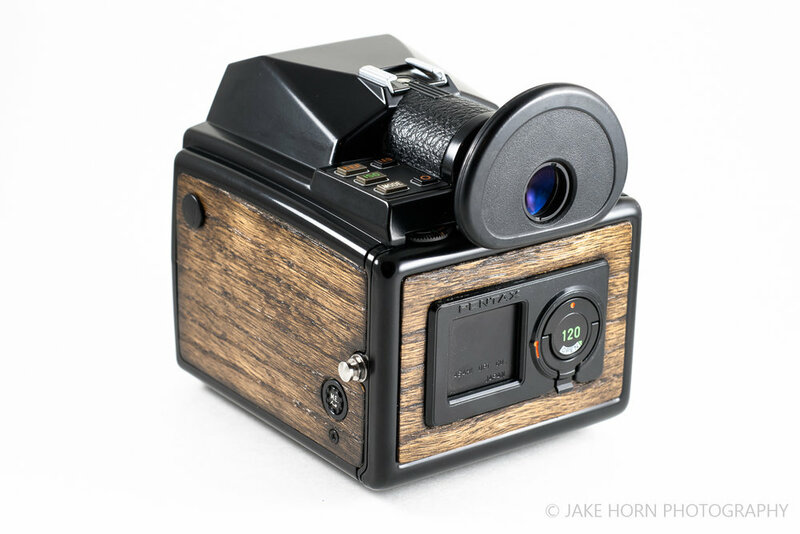 If you're interested in wood adorned cameras, I have some available in the store (CLICK HERE). 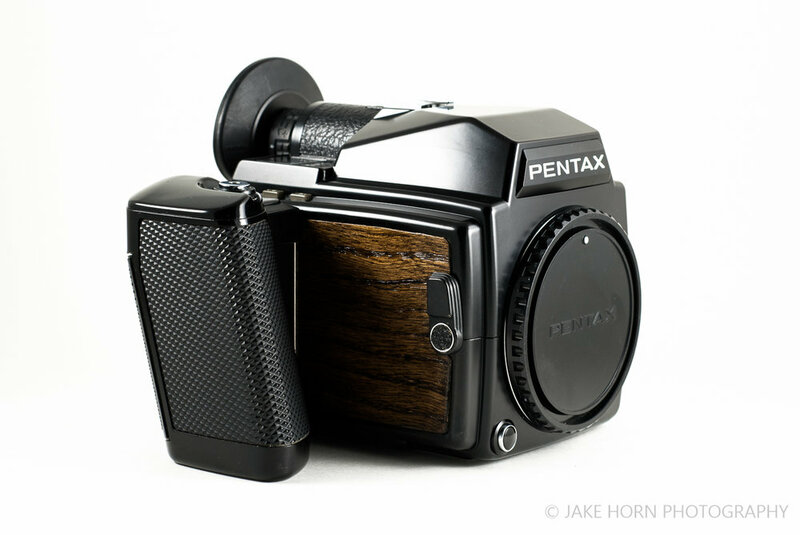 If you want a wood covered Pentax like mine, hit the contact link below and let me know! I do custom work.